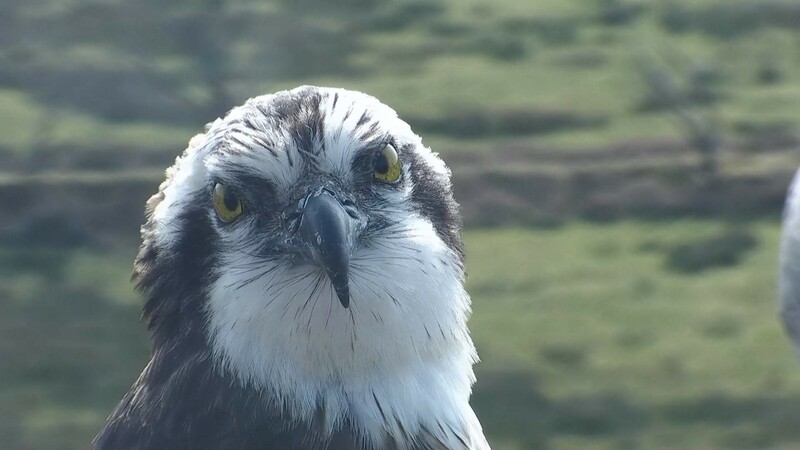 This is no April Fools, Aran landed on the nest at 10:12 am this morning! We mistakenly thought he had briefly landed at 7:20 am, but upon reviewing the footage it turned out to be another unringed female who Mrs G promptly saw off the nest. Soon after Aran landed, Mrs G was displaying herself to him, showing there was no doubt in her mind that her mate had returned. Both Aran and Mrs G left the nest for some hours this afternoon, later returning together. Rather surprisingly, Mrs G was the one carrying a live fish! If you missed all the action, you can watch the video here. What a wonderful and exciting day here at BGGW! How long will it be until we see an egg in the nest?